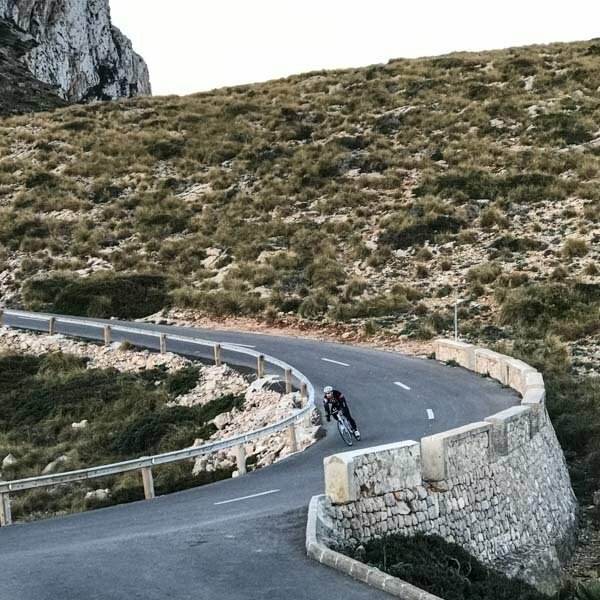 Cap de Formentor cycling route: the best ride on Mallorca? 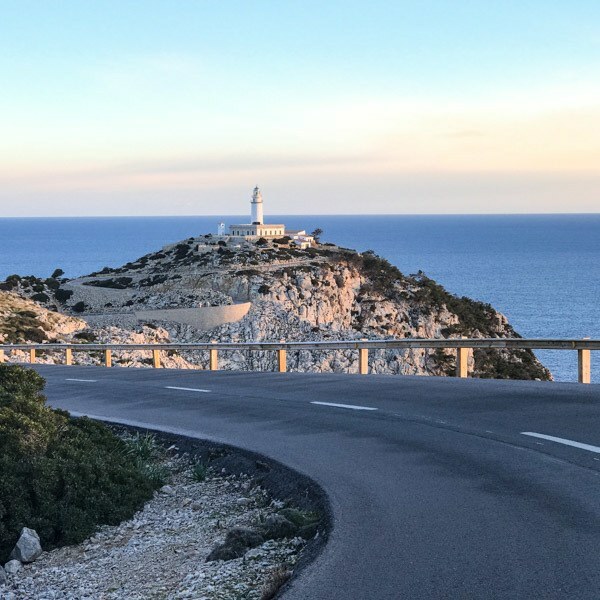 We think the Cap de Formentor lighthouse ride might indeed be Mallorca's finest - especially now there are restrictions on cars and buses (see below). It’s not an easy ride - at 35km long, it includes nearly 1,000m of climbing - but it combines dreamy views, impressive engineering, and near perfect tarmac. 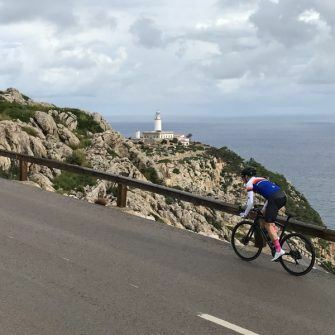 Sa Calobra may be the most famous ride on Mallorca and Andratx to Pollenca may be (one of) the most challenging, but we think the Mallorca lighthouse ride has the most unforgettable scenery. No surprise then that the road to Cap Formentor lighthouse has become an icon of European cycling. All metrics in this guide are approximate. 30.7% max. gradient is the figure provided by ridewithgps.com near Puig Major, but we think this is inaccurate. The first view of the lighthouse through the gap in the rocks is exhilarating, as is the final descent to it. We also loved the stunning views down to Cala Figuera beach, before you head into the gloom of the tunnel through the cliff. Those not on a rigid training session might want to get off their bike at the Mirador de la Creueta viewing point. The views are wonderful, though it gets even better for those prepared to totter in cleats down to the end of the viewing point (around 130 steps each way…). There you get the best views of towering rocks and islands poking out of the sea. At Mirador de la Creueta, you also have the option to turn right and head up the cliff to the Pepperpot. More about that, here! The infamous tunnel on the way to Cap de Formentor: don't forget your lights! The climb starts almost immediately, through hairpins and up 223 m to the viewpoint known as El Mirador de Sa Creueta. Gradients are 7-8%, but sweeping views over Port de Pollença should help take your mind off the grind. It’s a fast descent down the other side of Col de sa Creueta. From there it’s an undulating route, with some sharp kicks up, partly through trees, partly through barren, craggy outcrops. As the road nips back and forth across the peninsula, you get incredible views of the sea and coastline. Suddenly you’ll spot the lighthouse of Cap de Formentor yes through a gap in the rocks on your left and, shortly after, the end point suddenly emerges: a long series of hairpins lead the eye up to the lighthouse perched on the horizon. The view from Formentor lighthouse Mallorca. Not bad! A fast descent towards a tiny valley lets you catch your breath for the final, stinging ascent, up stunning switchbacks to the lighthouse. Built in 1863 the Cap Formentor lighthouse is an attractive, bright white building that sparkles in the sunshine. It’s a great place to rest and take in the majestic scenery you’ve just ridden. The reverse of what you’ve just ridden. There are two notable pain points. The rapid descent to the lighthouse now becomes a punchy ascent, rising 90m in less than a kilometre, with several 15% kicks, and the 3.4km climb back up to El Mirador de sa Creueta. The coffee bar at the lighthouse is a bit of an institution, though it wasn’t open at 7:30 am when we were there! If you need a break before the lighthouse, the coffee at the Cap Formentor beach café is meant to be good and has a terrace with views around the bay of Pollença. For other ideas, check out our post on Mallorca’s best cafés. And, if you’re travelling out of season, bear in mind that the refreshment stops mentioned here might be closed. Formentor beach, which is gorgeous: a forest backdrop, mountain views, crystal clear turquoise water and a decent (if narrow) stretch of fine white sand. It could make a good spot for any non-cyclists in your party to hang out. Note there is a charge to park. There are several restaurants on the beach as well as a well-known hotel. 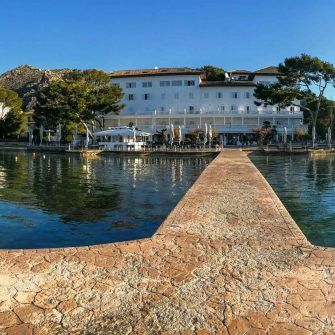 We stayed at the four-star Hotel Illa d’Or in Port de Pollença. We think it’s the best place to stay in Mallorca for cycling Cap de Formentor. It’s located on the Pine Walk, at the Cap de Formentor side of the town; you couldn’t get much closer to the start of the Cap de Formentor loop. 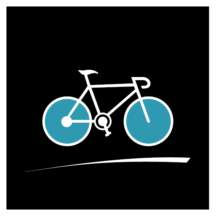 The hotel is quietly bike friendly, with a good bike room, work-station, and track pumps. The hotel also serves great food. For more of our accommodation suggestions, check out our ultimate guide to Mallorca for cyclists. Alternatively, our best towns for cyclists article should help you narrow down the best town for you. Cycling Cap de Formentor = stunning! Read our tips for cycling Mallorca before you set out. Precipices! There are lots of steep drop-offs if you stray from the road. Check the weather report before setting out. The roads can be treacherous in the wet and there can be very strong winds, particularly on the final descent to the lighthouse. Take a jacket, whatever the weather. Take lights for the tunnel (you will need them) and remember to remove your sunglasses. Beware little rock falls - and the dopey goats. The tarmac was notably new and smooth when we visited - except for the last couple of hundred metres through the pillars up to the lighthouse, which was very rutted. Set out early (think sunrise). Even out of high season, this route suffers from traffic jams on the narrow mountain roads. One glimmer of hope: from 2018 most vehicles have been banned from Formentor beach to the lighthouse between 10am and 7pm during July and August. More details can be found here. It's a good start, but 10am is relatively late on in the heat of summer; we'd recommend starting earlier than that anyway. In season you should spot photographers in position to take your photo and provide your Cap Formentor bike photos that you can buy from their website on your return to base. Add on the 2.5km road to Talaia d’Albercutx viewpoint, by taking the turning opposite the Mirador de sa Creueta/Colomer. Just watch out for the potholes! 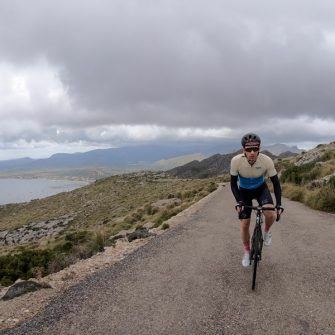 We include a full description in our Bay of Pollenca route guide, here (and you can see two photos of us on it above - the ones with Stolen Goat yellow and blue jersey!). 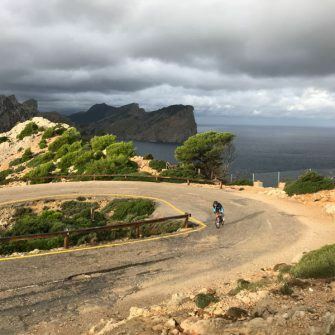 After having cycled Formentor, continue around the Bay of Pollença, through Alcudia, along the coast to Bonaire, up to the La Victoria monastery and then back along the coast to Port de Pollença. Here's our full guide to this awesome loop. If you're based in Port de Pollenca, you could add Cap Formentor onto our Sa Batalla loop. We'd love to hear from you - comment below! 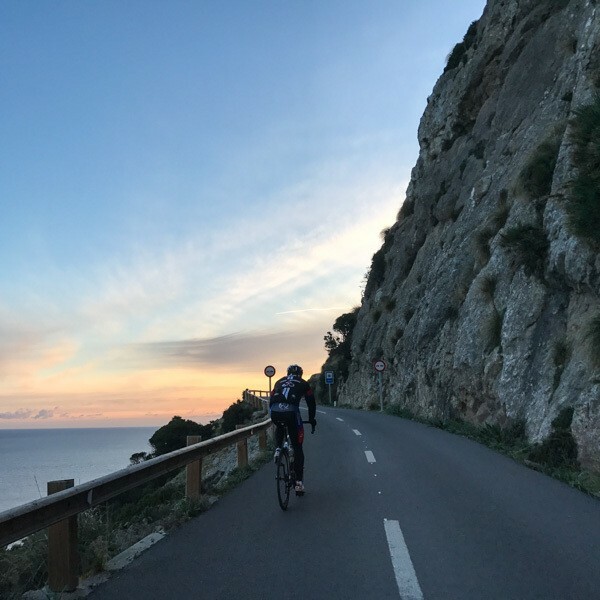 Don't miss our other ride guides on Mallorca: see the related rides section above and also the climbs and routes section of our ultimate guide to cycling Mallorca! 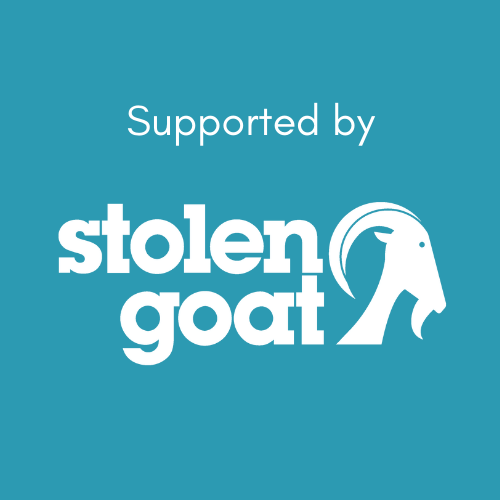 Like our kit and want to know more about stolen goat? We're proud to be brand ambassadors for Stolen Goat. Find out how we got to know Stolen Goat and read our candid kit reviews here. Alternatively, head straight to their site and check them out yourself. Our full guide to riding the climb up Puig de Santa Magdalena in Mallorca. It's a picturesque, gently climb with a fantastic café at the top. What's not to love?! 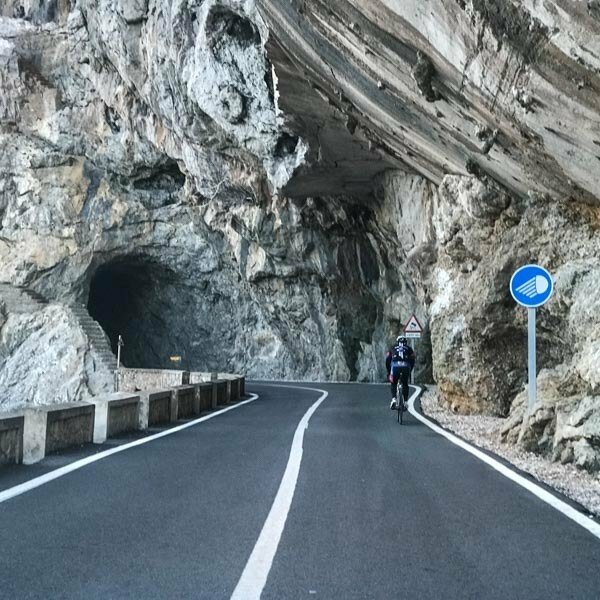 Your in-depth guide to a gorgeous ride in the Southern Tramuntana, incorporating the most picturesque part of the Mallorca 312 route. This is a winner. We share our top three Mallorca cycling routes and tell you what you need to know. Your one-stop guide to cycling Puig de San Salvador. We tell you what to expect and give you all the information you need to plan an unforgettable ride. Your inside guide to riding Puig de Randa (AKA Cura): GPX, ride information, photos and more.